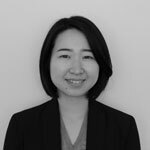 Chihiro Saito joined UNU-IAS as a Programme Assistant for the Education for Sustainable Development (ESD) programme in February 2018. She majored in French language and received her BA from the School of Foreign Studies, Osaka University in 2014. Prior to joining UNU-IAS, she worked at the Center for International Education of Kansai Gaidai University in Osaka as a coordinator of the study abroad program for outbound Japanese students.